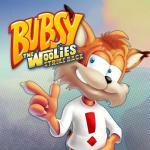 The 2D stuff was ok. Bubsy 3D is where the series got it's reputation. Actually, 2D Bubsy games actually got pretty solid reviews back then. This game is really underrated. It was good!